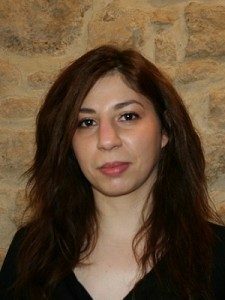 My name is Elena POPOVICI and I am a Clinical psychologist registered on the official list ADELI under the number 759350622, and a member of the French Federation of Psychologists and Psychology (Fédération Française de Psychologues et Psychologie). Of Romanian origins, I have completed my Psychology studies entirely in France and have obtained the professional Master 2 in Clinical Psychology and Psychopathology at the Paris XIII University as well as a university degree in Projective Psychology at the Paris V University. At this moment I am also preparing a PhD research at the Paris XIII University. My clinical experience as a psychologist is diverse and it was gained in a multiplicity of medical and social structures (psychiatric hospitals, medical and social centre, post-treatment home, specialized school, social centres). This wide experience allows me to receive a diverse public: children, adolescents, adults, elder persons, couples. In completion to my theoretical and clinical knowledge, I have also undergone a personal psychoanalysis, during several years, which enabled me to have a better knowledge of myself and thus be more available for other persons and be more competent in my work as a psychologist. At present I am continuing this reflexion on myself and my practice trough supervising. All of these experiences allowed me to develop skills and abilities that enable me to help you overcome the difficulties or problems you can experience sometimes in your life, and accompany you towards well-being. Life events: couple separation or relationship trouble, loss, grief, mourning, disease, feeling of being unable to face certain situations. Difficulties in relating to other people: conflicts, feeling of loneliness, feeling of being unloved. Personal issues: feeling of depression, fear or anguish, addictions, eating disorders, concentration difficulties, learning troubles, loss of self-confidence, sexual identity troubles, risky behaviour, violence. Desire to better know oneself, to make changes in order to improve your life. This is not a complete list and other reasons can motivate meeting a psychologist. It is important to keep in mind that meeting a psychologist does not engage you in something you don’t want to continue. You are completely free to engage in a more profound psychological reflexion if you wish to, or stop if don’t wish to. Also a psychological treatment can be stopped at anytime. I am proposing individual consultations for children, adolescents, adults and couple therapy. (Of course, for children, the acceptance of both parents needs to be obtained before starting a consultation) These consultations can be punctual or included in a form of psychological treatment such as psychotherapy. I am also proposing psychological tests such as intelligence and skills tests and personality tests. Of psycho-analytical and psycho-dynamic orientation, I can adapt my methods to suit your demands and needs. The duration and frequency of consultations are established in agreement with you, taking into consideration these same elements: your demands and needs. An individual consultation lasts about 45 minutes and a couple consultations is about 60 minutes. My practice is based on the deontology code for psychologists. Thus my attitude towards my patients is one of neutral kindness, respect and confidentiality that comes with the notion of professional secret. The consultation can be in English, French or Romanian language. Get in touch for a first session! Do you have other questions or concerns (including if we can help you with your problem)? Just call us to make an appointment or send an email to Psychologist France, to the attention of Elena Popovici.